Having completed thousands of mold inspections and mold remediations, our professional staff is experienced in handling projects ranging from small residential homes to corporate, commercial and industrial facilities and even schools. Not only do we provide mold removal services in New York and New York City, but we also serve New Jersey, Connecticut, Pennsylvania and Massachusetts. H&H Environmental professionals are all highly trained experts: not just in industrial hygiene, but also in the fields of water mitigation and building science. We use top-of-the-line, environmentally friendly cleaning products. Call us today at 888-250-6653 for a free consultation. For the best written warrantee in the business! Up-to-date information on New York State industry standards and regulations. Article 32 of NY State Labor Law License requires all all mold assessors, remediation companies & workers to be licensed by NY State. This law took effect on January 1, 2016. This law sets standards for mold assessment and mold remediation specialists. 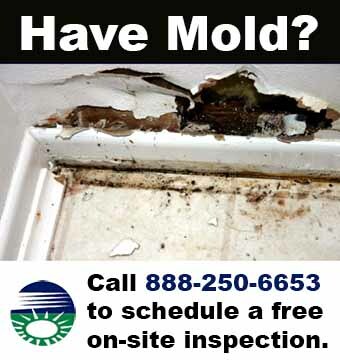 Mold Assessor License #00555 and Mold Remediation License #00423. Let us put our experience to work for you! We can provide direct billing to your insurance company. Count on a written, fully transferable warranty on all jobs. Call us now at (888) 250-6653 for a free consultation.